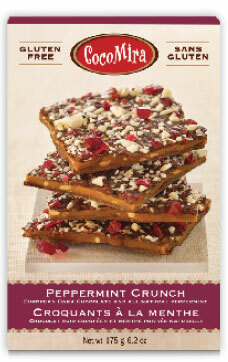 Glistening shards of plum-colored peppermint top our Peppermint Crunch. 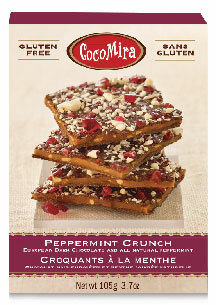 It’s Cocomira’s updated twist on a perennial favorite, inspired by the long history of the soothing after-dinner mint. 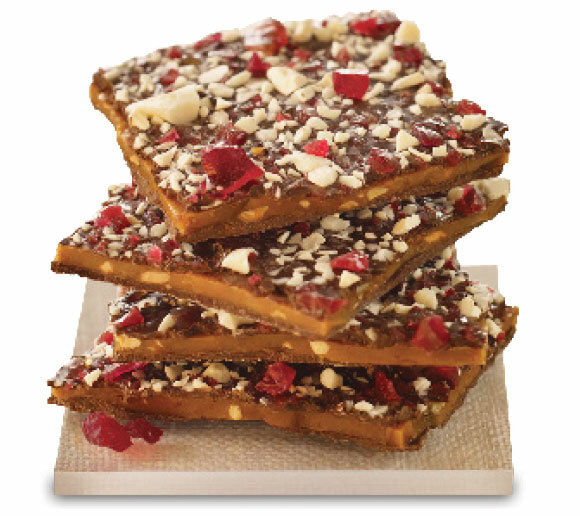 It’s an elegant way to end a fine meal, with luscious buttery toffee, European dark chocolate and an all-natural topping of cool peppermint. INGREDIENTS: Toffee (salted butter, cane sugar, corn syrup, almonds, rice crisps, water, peppermint oil), dark chocolate (cocoa mass, sugar, cocoa butter, soya lecithin, vanilla), natural peppermint (sugar, corn syrup, peppermint oil, color - beet powder, glycerin). CONTAINS: TREE NUTS, MILK, SOYA, CORN May contain traces of peanuts. I had the peppermint crunch and am hooked!